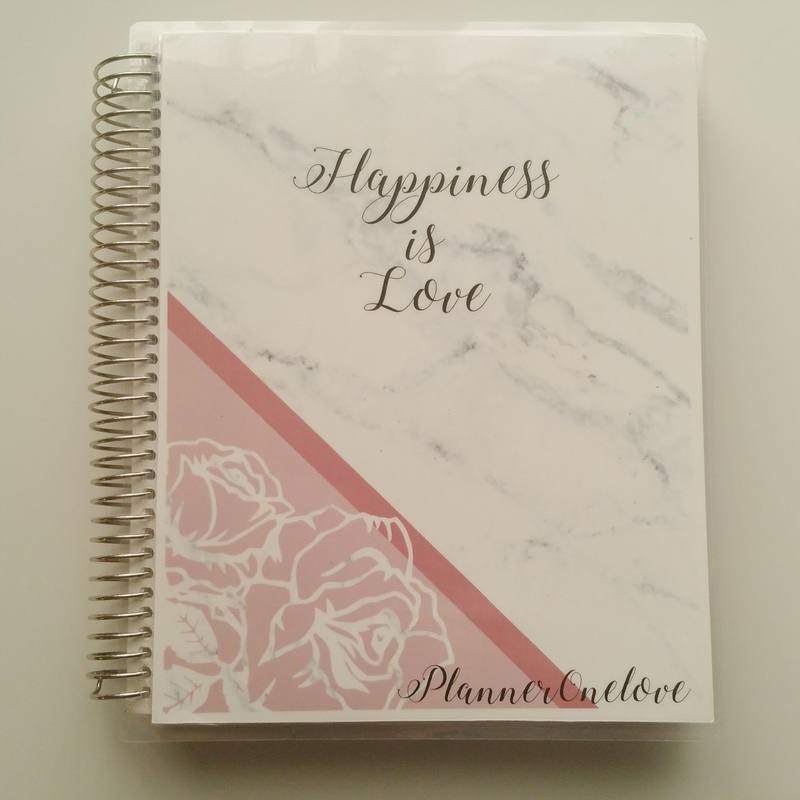 Hello planner addicts. So today I thought I'd share with you my very first Planner DIY project. 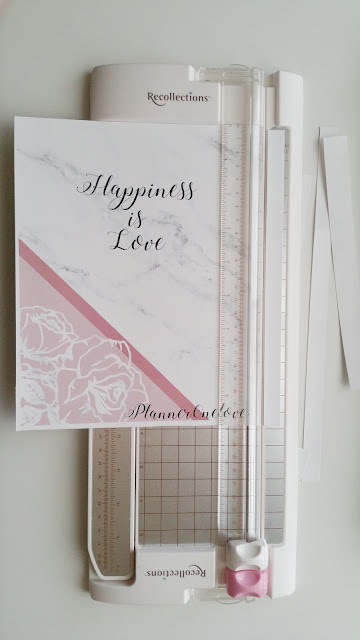 I recently made myself a custom interchangeable planner cover. It was so easy to make I thought I would share with you the steps I took to create it. Here's what mines looks like. Firstly let me start by mentioning the items I used to make it. If you want to find the same items, or similar to the ones I used just click on each of links below. You may also want to have a pen or marker handy just in case. & optional, a corner punch rounder. 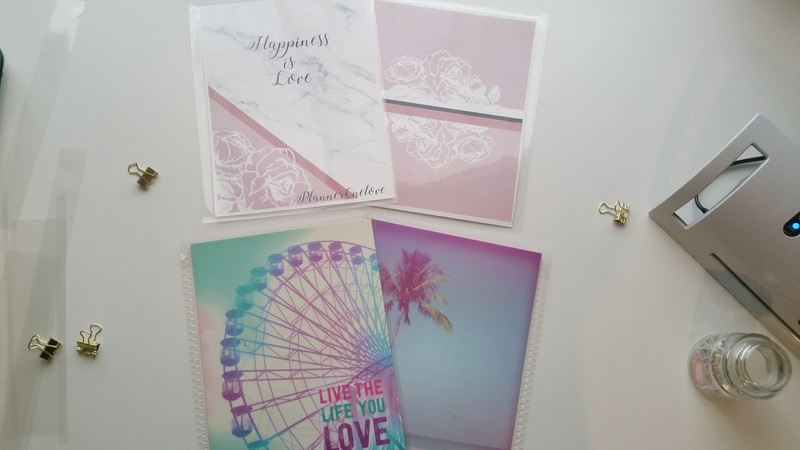 As you can see by the pic above I used 3m thick laminating pouches. I would recommend using a thicker one like 5m. The 3m works too, but with time it might get a little flimsy. 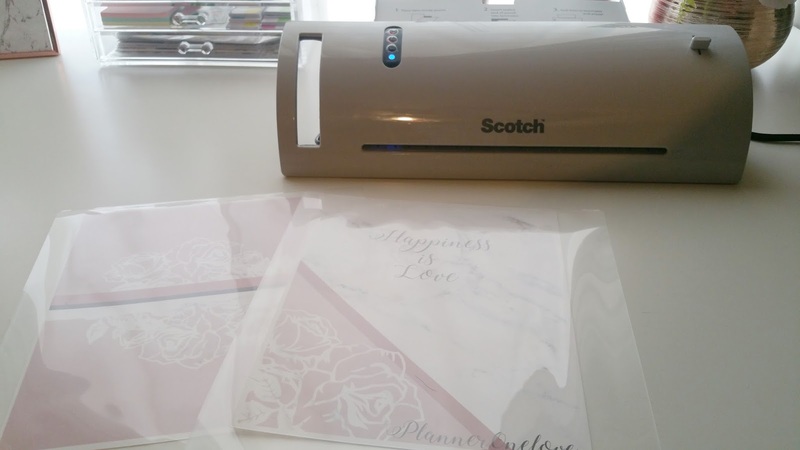 The laminator listed above comes with the pouches included as part of a combo. Okay so I started out by designing my cover. I used the Silhouette Studio program. 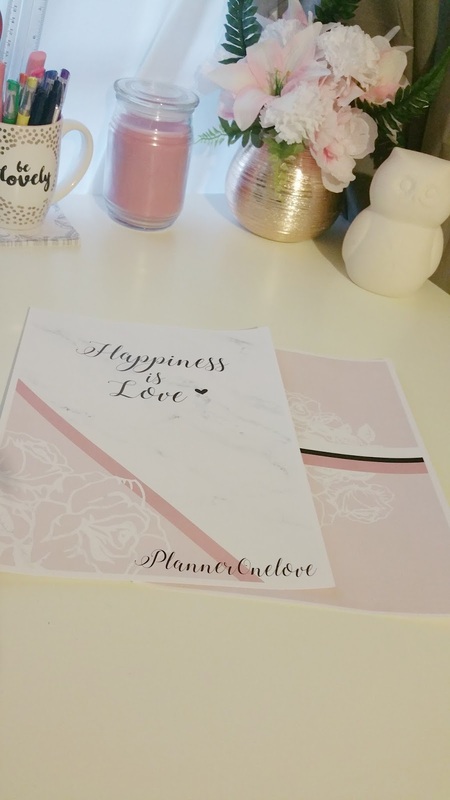 It's the same program I used to make my stickers and I'm comfortable with it so I use it for all of my designing. I made my image 8.8in x 7.1in. After I created the image I wanted to use, I converted the file to PDF and emailed it to my local OfficeMax to have it printed. I chose to do it this way because 1. I didn't want to use up my ink & 2. because I didn't want to buy a pack of cardstock paper. Each page was less than $1 to print. So it was cheap and convenient for me. If you don't want to design your own cover I recommend you check on Pinterest. There are a ton of images you can use for your cover. I've even seen people use gift bags as an alternative. Once you have your image printed it's time to cut it to size. Using the paper trimmer I cut all of the excess paper. Leaving a tiny white border around the edges. 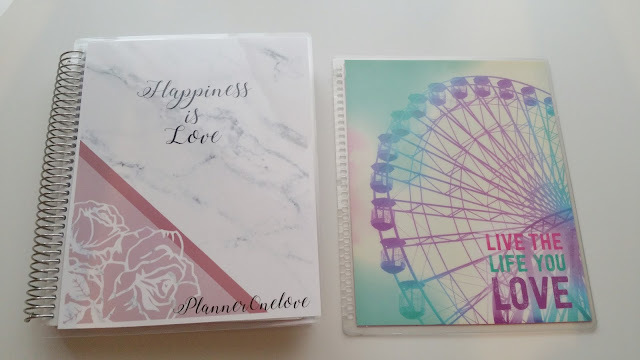 You can cut your paper as close to the image as you want. I liked having the little white border. You can also use scissors for this if you don't have a trimmer. I'm not great at cutting straight lines. So the trimmer was perfect & much less time consuming to use. 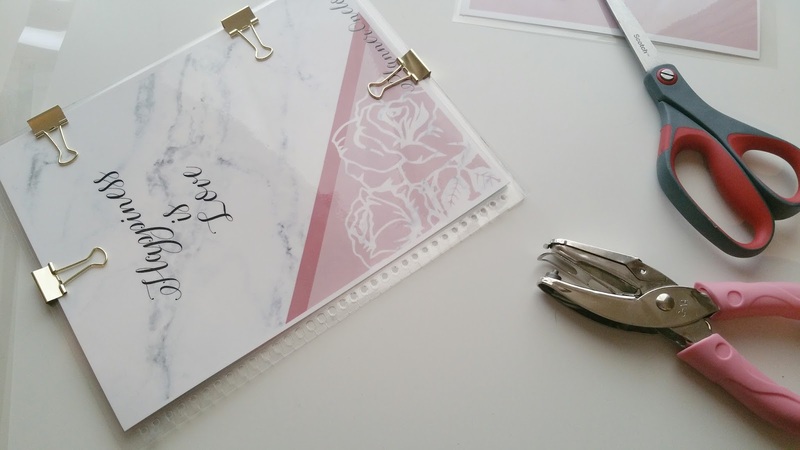 While you're cutting your pages I recommend that you plug up your laminator and turn it on so that it can start heating up. 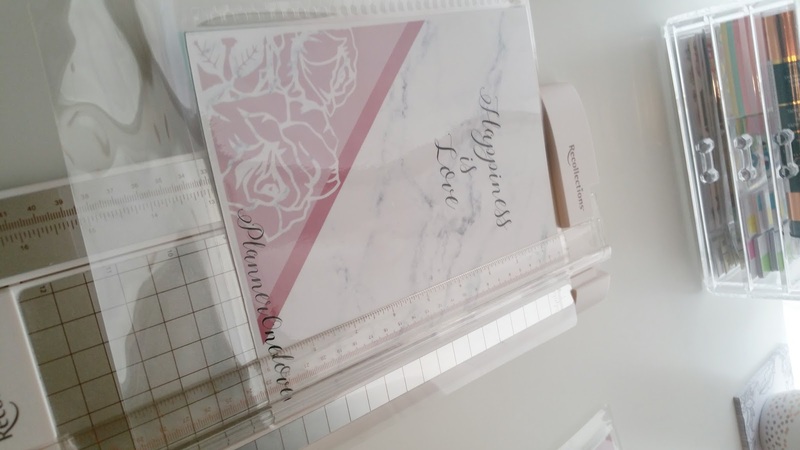 After cutting both pages down to size, I slipped each page into a laminating pouch. Make sure to tuck your paper as close as possible to the top sealed edge. I centered my image leaving room on either side to punch the holes later. 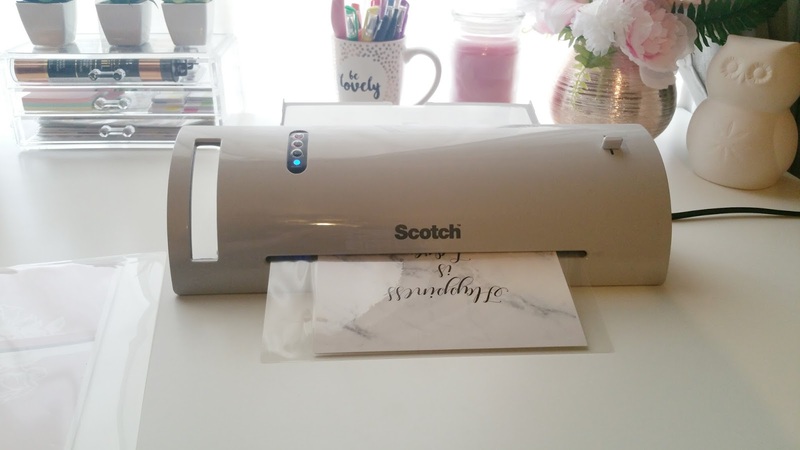 My Scotch laminator takes a few minutes to heat up. It indicates that it's ready with a blue light that says ready. Once my laminator was heated I fed each pouch through the laminator separately. After laminating the pages, I placed the original front cover under my laminated page. I aligned it on my paper trimmer and cut off the excess on the sides and bottom. Making sure to leave enough space on one side for the holes. This is what both laminated pages looked like in comparison to the original ones after cutting them down. 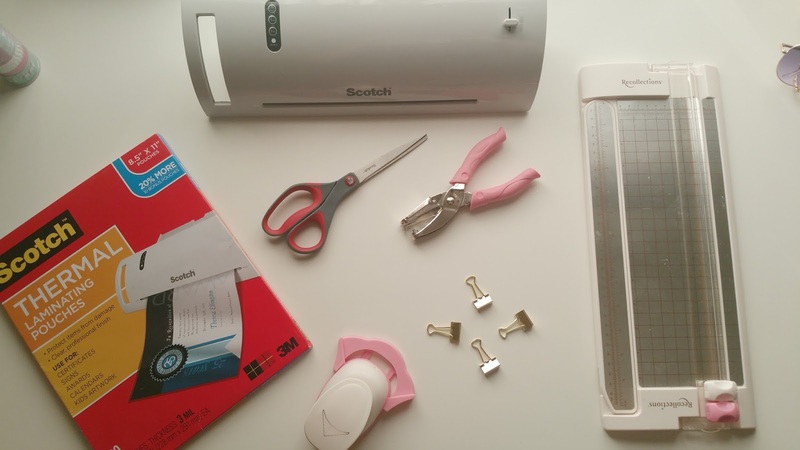 Grab your hole puncher, clips & scissors. Now that everything is sized and cut it's time to make all of those little holes. This part is a little time consuming but pretty simple. Most tutorials I've seen have you align the old cover with the new one and trace a mark with a pen or marker where each hole goes. I skipped that step. Instead I aligned both covers & used clips to hold them together. Then matching the original holes with my hole punch I made each hole. Repeat for both pages. The reason why I didn't use the pen trick was because for me it was easier to see where the holes should be by looking at the original ones. It also saved me some time. & I don't plan on using the original cover anymore so if I made a mistake and over punched it; it wouldn't have mattered to me. 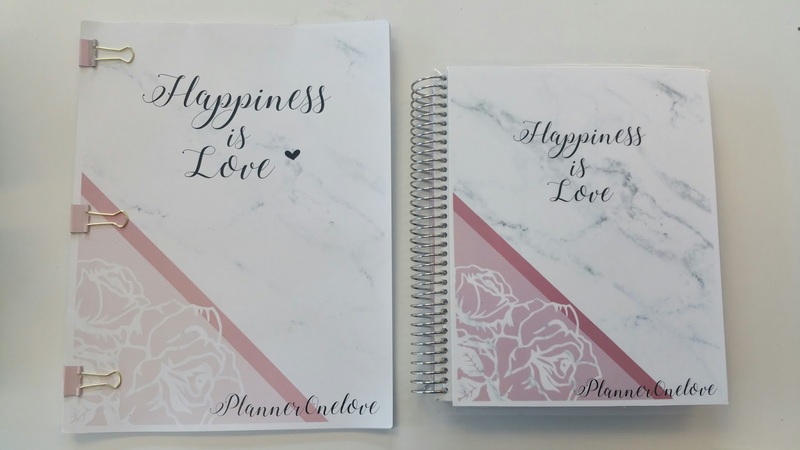 If you followed all of these step all that's left now is to put your new custom made planner cover on your planner! 💗 My favorite thing about this is that now I have all the tools and plenty of laminating pouches left to make more covers. & what's even better is that if you designed your cover it is uniquely yours. 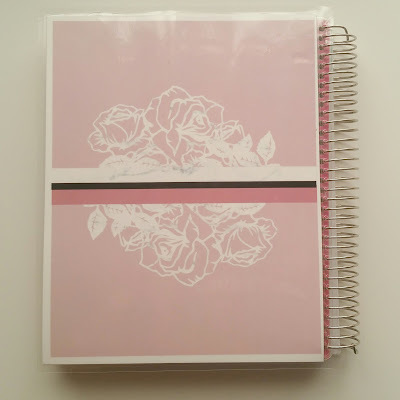 I also printed out a bigger version of my design and using binder clips made a little folder to hold all of my printables. Thank you for this tutorial! I tried this once but failed miserably. I'll try again. Love your designs. Thanks for sharing!